This dress was made for a vintage style wedding. 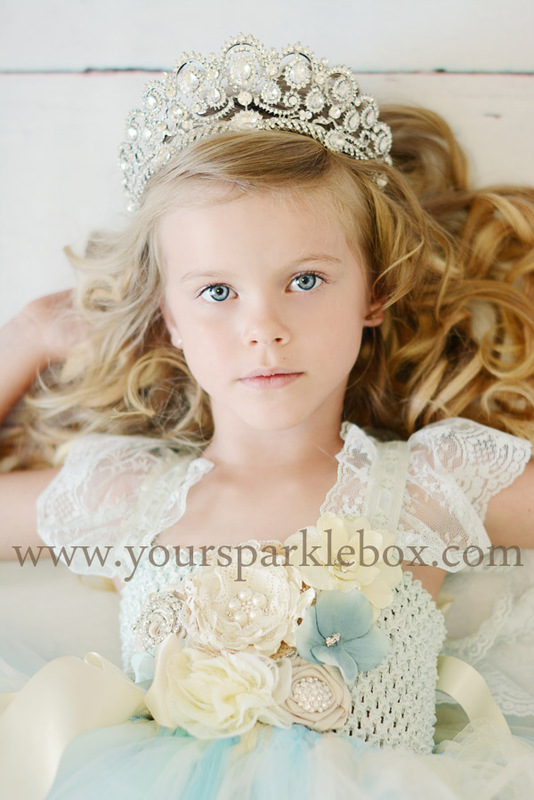 The Hand dyed and aged bodice and lace straps give a truly vintage feel to this design. These pieces are dyed and delicately tea stained to create a one of a kind vintage blue. Beautiful handmade satin, lace and chiffon flowers are decorated with rhinestone accents and finished with a champagne bow. 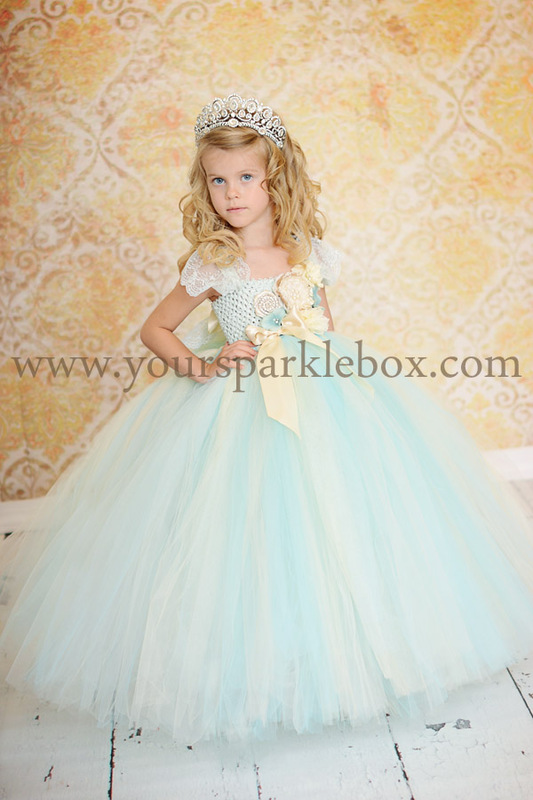 The full skirt is comprised of blue, a hint of mint, ivory and champagne tulle.